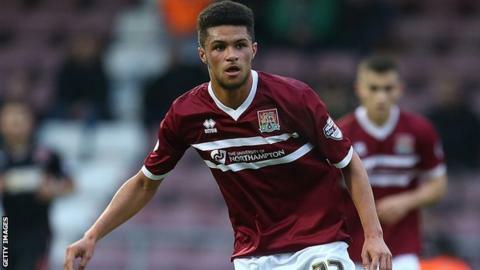 Cheltenham Town have agreed a deal to extend the loan of Peterborough United midfielder Kane Ferdinand for the rest of the season. The 22-year-old was signed by ex-Robins boss Mark Yates last month and has made seven appearances for the club. "Since I have come in, Kane has gone from strength to strength," said current Cheltenham manager Paul Buckle. "He's been great and I feel he is one who has improved on the back of what we are trying to do here."